Finnish trance duo, Super8 & Tab, have shown throughout the years that their career is nothing short of impressive. 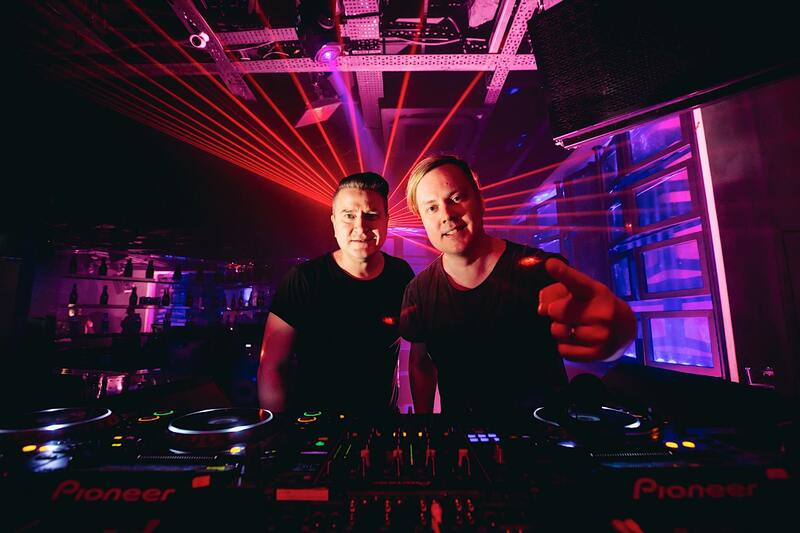 Having recently released Past, Present, & Future, their first album of 2019, Super8 & Tab have toured the globe with a long existing presence in A State of Trance. The duo has made a clear mark within the trance community, establishing a partnership with Armada Music and are involved in the kickstart of the ‘Hybrid Trance’ revolution with their groundbreaking debut track “Helsinki Scorchin” in 2006. Super8 & Tab have carved names for themselves in trance music, releasing their third studio album, Reformation, with euphoric hit track “Venture.” The duo is also super eager for their ‘Past, Present & Future’ world tour, as stops range from Madrid, Singapore, Europe, Canada, and the U.S. Super8 & Tab have also hinted towards their excitement surrounding a few special collabs to be released soon. Take a listen below while you read our full Q&A with Super8 & Tab where we talk more about Past, Present & Future, new goals, upcoming performances, and more! The Nocturnal Times: Do you have a favorite track within Past, Present & Future? Does it speak a certain or important emotional message? Super8 & Tab: Out of the brand new tracks, “Thrive” is probably our favourite. It has so many different flavours and sides to it and every time we play it live the crowd goes just nuts. The Nocturnal Times:Are there any songs on the album that you have a stronger attachment to? Perhaps from times of life reflection or growth as an artist / human being? Super8 & Tab: This is an easy answer and it is “Helsinki Scorchin.” This track was originally released in 2006 and it really gave us the possibility to tour internationally. Without this track we wouldn’t have had the chance to go all those countries we’ve been to and meet all the amazing people around the world. The Nocturnal Times:What kind of tour or festival stops do you have planned so far surrounding the release of Past, Present & Future? Super8 & Tab:We just played ASOT900 in Madrid which was insane. The tour is going to take us all over the world from Singapore to USA and Canada, where we are going to do Dreamstate Festival. And we’re also doing an open-to-close set in Ministry of Sound in London which is going to be so much fun too. The Nocturnal Times:What were a couple of big challenges you faced when writing, producing, and collectivizing this album? Super8 & Tab: Whether it’s a DJ Mix album or artist album, it’s always the same problem. Getting everything to sound as one. Getting the unified sound to it. When we actually decide, “let’s do an album” we usually have a core selection of tracks ready. Then we need to fill the gaps and those gaps will set the tone for how albums sound. The Nocturnal Times:If you had to pick anyone in the world to listen to your album, who would it be? Super8 & Tab: Kimi Räikkönen. We know he likes Finnish music but we have no idea if he likes trance. So I’d like to hear what he thinks of this music. The Nocturnal Times: Are there any specific goals you accomplished with this album? And have you now set new goals for your music and projects as an artist? We’re excited and eager to know! Super8 & Tab: This is hopefully the start of something new. We have so much history and so many tracks under our names that can be remixed and re-released and we are constantly making new music, so let’s see if PPF is the start of something we can continue for years to come. But we have an idea of new artist album too. So that’s probably the next thing. The Nocturnal Times: Who are some of your biggest inspirations as an artist and as people? Super8 & Tab: It must be both of the trance superstars Armin van Buuren and Above & Beyond. They can be musically really inspiring, but also at the same time being such huge names they are still very humble, friendly and hard working people. The Nocturnal Times: What are you most excited for in the upcoming months? What else is in store for Super8 & Tab in 2019? Super8 & Tab: Of course we are excited to tour with the Past, Present & Future album, but we are also very excited about couple of exciting collaborations we are about to release soon.